Please take a minute to review the details below regarding 1031 Tax Exchanges. What is the purpose of a 1031 exchange? A 1031 tax-deferred exchange allows you to roll-over all of the proceeds received from the sale of an investment property into the purchase of one or more other like-kind investment properties. At closing, proceeds are transferred to a third party–called a facilitator or qualified intermediary–who holds them until they are used to acquire the new property. 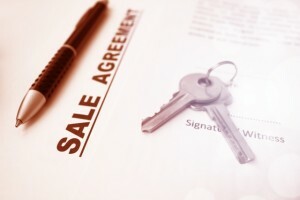 Property is exchanged between Seller and Buyer simultaneously. Exchangor disposes of the relinquished property on one day, and then has up to 180 days from that date to acquire the replacement property. Replacement property is acquired by an accommodation titleholder before the relinquished property is transferred. Improvements or repairs are allowed to be made on a replacement property before it is transferred to the Exchangor. Accommodation Titleholder acquires and improves or repairs the replacement property before Exchangor sells the relinquished property or the 180-day exchange period expires. At Exchange Services, Inc., Catherine Witmer can serve as both qualified intermediary and accommodation titleholder. 1. Property must qualify for a tax-deferred exchange. Property used in a trade or business or held for investment. Any form of investment real estate or any real estate housing or business qualifies. Your primary residence or another property that you treat as a second home for tax purposes does not qualify. 2. You must state that you are planning to do a tax-deferred exchange prior to the sale of your relinquished property. If you are doing a Reverse exchange then you must state that you are planning to do a tax-deferred exchange prior to the purchase of your replacement property. Your intent must be clearly stated prior to the closing of your relinquished property (for a Reverse exchange, this would be the replacement property) and be mentioned in the Purchase & Sale Agreement or an Addendum added to the Purchase Agreement and signed by both Seller and Buyer. If you are working with a Realtor your agent can incorporate this information into the Purchase & Sale Agreement. We can assist with the necessary 1031 verbiage if needed. 3. You must use a Qualified Intermediary (a.k.a. Q.I., Facilitator or Accommodator). The IRS won’t allow you to receive cash proceeds or take “constructive receipt” of the funds at all, or else you will be taxed; therefore the Qualified Intermediary legally sells the relinquished property in order to buy the replacement property, creating an exchange of properties. The Qualified Intermediary will prepare all of the necessary documents and work with the agencies involved to structure this transaction as an exchange and not just the sale of one property and acquisition of another. 4. You must acquire “like-kind” property. “Like-kind” property is “any form of real property used in a trade or business or held for investment.” The key word is “real” property; therefore, types of investments such as stocks, bonds, or mortgages do not qualify. 5. The same amount of debt/cash or greater must be reinvested into the relinquished property. To be completely tax-deferred, you must purchase replacement property of equal or greater value, less closing costs and commission of your relinquished property. The cash proceeds and at least the same amount of debt that was paid off must be reinvested in the replacement property. The first is the 45 day identification of replacement property. The exchangor must identify any replacement property within 45 days from the closing of the relinquished property. The second is the 180 day exchange period. This is the time period in which you must complete your 1031 exchange and begins with the closing date of your relinquished property. Q – Can I handle the exchange myself, if I sell the relinquished property and put the money in a separate bank account, only to be used for the purchase of the replacement property? No. According to IRS regulations, the Exchangor cannot have “constructive receipt” of the funds in any way, without disqualifying the exchange. Q – When can I take money out of the exchange account? Since the Exchangor cannot have “constructive receipt” of the exchange funds, once the funds are deposited into the trust account, the Exchangor cannot receive any money until the exchange requirements have been met. It is possible for the Exchangor to receive a portion of the relinquished property funds at closing, provided this has been discussed and arranged with the Qualified Intermediary ahead of time. This is referred to as “Cash Boot” and is subject to capital gains tax. Q – Can the replacement property eventually be converted to the taxpayer’s primary residence or a vacation home? Yes, but the Exchangor should establish the replacement property as investment property first. Also, once the property has been converted to the Exchangor’s primary residence or personal use he/she must hold onto the replacement property for a minimum of five years and have lived in the home for at least two of the five years (does not have to be consecutively) before selling the property and taking advantage of the primary residence capital gains exclusion. Q – What if I cannot identify any replacement property within 45 days, or close on a replacement property before the end of the exchange period? NO EXTENSION IS ALLOWED EVEN IF THIS DATE HAPPENS TO FALL ON A SATURDAY, SUNDAY OR LEGAL HOLIDAY. If the Exchangor does not meet the time limits of the exchange, the exchange will fail and the Exchangor will have to pay any taxes due from the sale of the relinquished property. Q – I hold title to my relinquished property in my name but can I purchase my replacement property under my company’s name? There are a few exceptions, but basically title to the Replacement Property must be held in the same manner as the title was held to the Relinquished Property. A common exception is when the Exchangor takes title to the replacement property under an LLC, as the sole member. The new entity is disregarded for tax purposes when the Exchangor uses the same tax identification number. Q – Does my Replacement Property have to be exactly like my Relinquished Property to quality as “like-kind” property? No. For example, if you sell raw land you can purchase an apartment, condo, duplex, commercial building or any real property as long as it is held for investment purposes. Q – How much do I have to reinvest into my Replacement Property? For an exchange to be completely tax-deferred (all gain to be deferred) the reinvestment in the replacement property must be equal to or greater than the relinquished property. The Exchangor may not receive cash any cash at closing from the relinquished property and all the proceeds in the exchange account must be reinvested in the replacement property. If applicable, the new or assumed loan should be equal to or greater than the debt paid off on the relinquished property, or the Exchangor must come in with cash (at closing on the replacement property) to offset the difference. 1. Acquire the replacement property(s) for at least $280,000. 2. All of the exchange funds must be reinvested into the replacement property(s). 3. New loan must be at least $50,000 or Exchangor can come in with cash at closing.